Effective January 2018, Bull’s Head and Elliott Car Parks will be gated using the same barrier system implemented at City Hall, Par La Ville and Number One car park. As a result, until we can integrate our current solution, customers will no longer be able to pay for parking in gated car parks using our yellow parking meters. Therefore, customers are encouraged to sign up for EasyPark Mobile; the most convenient way to pay for parking in gated lots. No need to stand in lines to pay at the paystation. 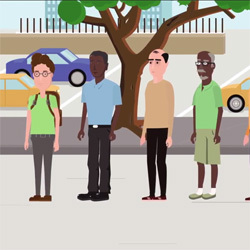 Simply launch your app then – Scan -Pay – Open gate – and Go!! All while comfortably seated in your vehicle. Also, there is no need to take the gated parking ticket out of your car and risk the penalty for a lost ticket! 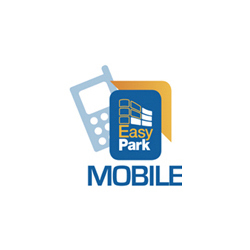 The EasyPark mobile app is available, free of charge, from iTunes and the Google play store. 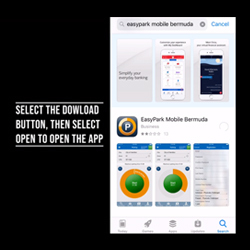 Customers can register via the app, or register online at www.easypark.bm by selecting EasyPark Mobile from the main menu and following the instructions in our EasyPark Mobile Guide. Similar to the EasyPark Meter, EasyPark Mobile is a prepaid service. Therefore, to use the service customers must first subscribe to one of our plans. Once you’ve subscribed to a plan, and updated the license plate and mobile number details, you can top up your EasyPark Mobile virtual account (online or in the app). Note: If you have insufficient funds in your account, you can add credit by pressing the add credit bottom in the app and restart the process, or proceed to a paystation and pay as directed. If you have any questions, please call us at (542-7000) or contact us at support@easypark.bm.